The vessel left England on September 6, and after a grueling 66-day journey marked by disease, the ship dropped anchor inside the hook tip of Cape Cod (Provincetown Harbor) on November 11 (dates in Old Style, Julian Calendar; according to the New Style Gregorian Calendar, the corresponding dates are September 16 and November 21). The Mayflower originally was destined for the mouth of the Hudson River, near present-day New York City, at the northern edge of England's Virginia colony, which itself was established with the 1607 Jamestown Settlement. However, the Mayflower went off course as the winter approached, and remained in Cape Cod Bay (mapped in 1602 by Gosnold). On March 21, 1621, all surviving passengers, who had inhabited the ship during the winter, moved ashore at Plymouth, and on April 5, the Mayflower, a privately commissioned vessel, returned to England. In 1623, a year after the death of captain Christopher Jones, the Mayflower was most likely dismantled for scrap lumber in Rotherhithe, London. The Mayflower was used primarily as a cargo ship, involved in active trade of goods (often wine) between England and other European countries, (principally France, but also Norway, Germany, and Spain). At least between 1609 and 1622, it was mastered by Christopher Jones, who would command the ship on the famous transatlantic voyage, and based in Rotherhithe, London, England. After the famous voyage of the Mayflower, the ship returned to England, likely dismantled for scrap lumber in Rotherhithe in 1623, only a year after Jones's death in March 1622. The Mayflower Barn, just outside the Quaker village of Jordans, in Buckinghamshire, England, is said to be built from these timbers. Details of the ship's dimensions are unknown; but estimates based on its load weight and the typical size of 180-ton merchant ships of its day suggest an estimated length of 90–110 feet (27.4–33.5 m) and a width of about 25 feet (7.6 m). The ship was manned by a crew of 25-30. Careful research went into designing a replica, the Mayflower II (launched September 22, 1956), to resemble its namesake as closely as possible. This vessel is now part of the Plymouth Plantation living museum, near Plymouth, Massachusetts. Initially, the plan was for the voyage to be made in two vessels, the other being the smaller Speedwell. The first voyage of the ships departed Southampton, England, on August 5, 1620, but the Speedwell developed a leak, and had to be refitted at Dartmouth. It would later be revealed that there was in fact nothing wrong with the Speedwell. The crew had sabotaged it in order to escape the year-long commitment of their contract. After reorganisation, the final sixty-six day voyage was made by the Mayflower alone, leaving from a site near to the Mayflower Steps in Plymouth, England on September 6. With 102 passengers plus crew, each family was allotted a very confined amount of space for personal belongings. The Mayflower stopped of at Newlyn in Cornwall to take on water. The ship probably had a crew of twenty-five to thirty, along with other hired personnel; however, only the names of five are known, including John Alden. William Bradford, who penned our only account of the Mayflower voyage, wrote that John Alden "was hired for a cooper [barrel-maker], at South-Hampton, where the ship victuled; and being a hopeful young man, was much desired, but left to his own liking to go or stay when he came here; but he stayed, and married here." The intended destination was an area near the Hudson River, in "North Virginia". However the ship was forced far off-course by inclement weather and drifted well north of the intended Virginia settlement. As a result of the delay, the settlers did not arrive in Cape Cod till the onset of a harsh New England winter. The settlers ultimately failed to reach Virginia where they had already obtained permission from the London Company to settle. To establish legal order and to quell increasing strife within the ranks, the settlers wrote and signed the Mayflower Compact after the ship dropped anchor at the tip of Cape Cod on November 11, in what is now Provincetown Harbor. The settlers, upon initially setting anchor, explored the snow-covered area and discovered an empty Native American village. The curious settlers dug up some artificially-made mounds, some of which stored corn while others were burial sites. The settlers stole the corn and looted and desecrated the graves, sparking friction with the locals. They moved down the coast to what is now Eastham, and explored the area of Cape Cod for several weeks, looting and stealing as they went. They decided to relocate to Plymouth after a difficult encounter with the local native Americans, the Nausets, at First Encounter Beach, in December 1620. During the winter the passengers remained on board the 'Mayflower', suffering an outbreak of a contagious disease described as a mixture of scurvy, pneumonia and tuberculosis. When it ended, there were only 53 persons still alive, half of the passengers and half of the crew. In spring, they built huts ashore, and on March 21, 1621, the surviving passengers left the Mayflower. On April 5, 1621, the Mayflower set sail from Plymouth to return to England, where she arrived on May 6, 1621. The 102 passengers on the Mayflower were the earliest permanent European settlers in New England. (The Jamestown settlement was the first English settlement in what would become the United States.) Some of their descendants have taken great interest in tracing their ancestry back to one or more of these Pilgrims. Throughout the winter, the passengers spent time ashore preparing home sites and searching for food but partly remained based aboard the Mayflower. Only about half of the settlers would still be alive when the Mayflower left in the spring. Governor Bradford noted that about half the sailors died as well. A second ship called the Mayflower made a voyage from London to Plymouth Colony in 1629 carrying thirty-five passengers, many from Leiden. This was not the same ship that made the original voyage with the first settlers. This voyage began in May and reached Plymouth in August. This ship also made the crossing from England to America in 1630, 1633, 1634, and 1639. It attempted the trip again in 1641, departing London in October of that year, John Cole, master, with 140 passengers for Virginia, but it never arrived. On October 18, 1642 a deposition was made in England regarding the accident. After World War II, an effort began to reenact the voyage of the Mayflower. 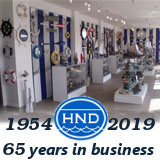 With cooperation between Project Mayflower and Plymouth Plantation, an accurate replica of the original (designed by naval architect William A. Baker) was launched in 1956 from Devon, England, and set sail in the spring of 1957. Captained by Alan Villiers, the voyage ended in Plymouth Harbor after 55 days on June 13, 1957 to great acclaim. 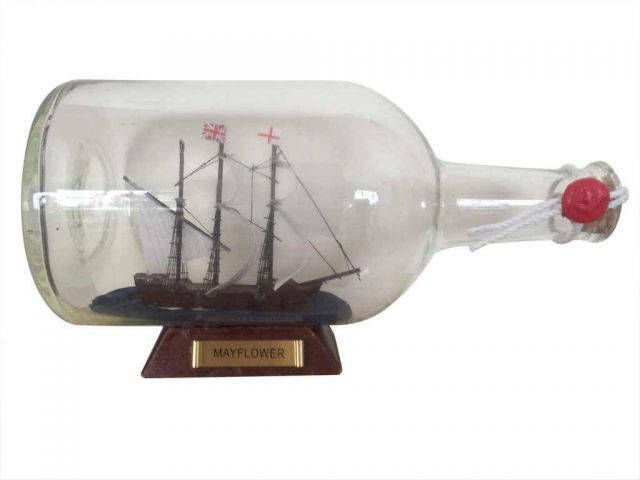 * The Mayflower is the emblem of the English football club Plymouth Argyle F.C., who are known as "The Pilgrims" (nickname). * Songwriter Paul Simon mentions the ship in his "American Tune" (song). * Yes member Jon Anderson & Vangelis (as "Jon & Vangelis") made a song about the ship called "The Mayflower" released on their album The Friends of Mr. Cairo. * Folk/Rock singer Bob Dylan mentions the ship in his song "Bob Dylan's 115th Dream" on the album Bringing It All Back Home. * The space-shuttle parody in the movie Airplane II: The Sequel is called Mayflower One. * Mark Carew wrote a book titled 'Flight of the Mayflower' where NASA builds an intergalactic space ship (named the Mayflower) to travel to a new world due to the fact that Earth has become a place where terror, geo-political shift, ecological crisis and nuclear war are pandemic. * The popular syndicated show, The Brady Bunch, had an episode revolving around the Pilgrims and the Mayflower, called, "The Un-Underground Movie"
Many Americans believe themselves to be descended from Mayflower passengers, e.g. that somebody's ancestors go "all the way back to the Mayflower". * The Mayflower sailed in 1620, but Virginia was settled in 1607 at Jamestown, 1610 at Hampton, 1611 at Henricus, 1613 at Newport News, 1613 at New Bermuda, and several other Virginia settlements which pre-date Plymouth. Virginia even had black indentured servants by 1619 and a population of about 4,500 in 1623. Also, Albany, New York, was settled by the Dutch in 1614, Santa Fe, New Mexico by the Spanish in 1610, and St. Augustine, Florida dates back to the 16th century. * Considering Puerto Rico, the towns of Caparra and Old San Juan would be the first European settlement in the United States, in 1508. * Centuries earlier, 500 years before the voyage of Christopher Columbus, the Vikings, from Scandinavia, had established a permanent settlement in Greenland from 1000 AD until circa 1500. That settlement lasted 500 years, longer than the entire colonial history of the United States. In addition, the archeological site at L'Anse aux Meadows, on the coast near the northern tip of Newfoundland in Canada, has also been identified as a 10th or 11th century Viking settlement site. However, with the Mayflower voyage in 1620, more emphasis is placed on the so-called "First Thanksgiving" and the peaceful co-existence with the native Wampanoag tribe, as issues of civilized culture, among the 13 original colonies of the U.S.